Although stock-appearing, running oval tracks at 200 mph the Cup car generates huge aerodynamic forces. Under the skin the Cup car is purpose-designed for racing albeit around some mandatory components that are strangely archaic. It all adds up to a fascinating engineering challenge. 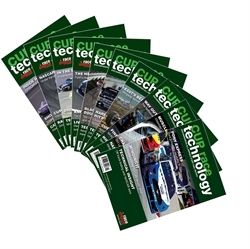 Published annually, Cup Race Technology explains in depth how some of the finest minds in motorsport rise to this fascinating and unique challenge. 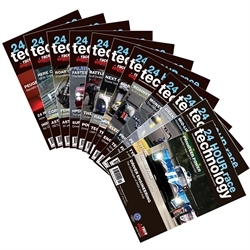 Insight: NASCAR ENGINEERING TOOLS - What tools are available to COT engineers for off-track testing and development? Focus: BRAKES - Sprint Cup cars are notoriously under braked, what can brake manufacturers do to improve stopping power and remain inside the regulations? 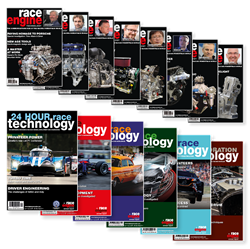 Tech Review - What new components and technologies can NASCAR engineers look forward to in the medium term? Paddock - NASCAR has made its system of penalties for rule-breakers simpler and more consistent. PS - Where does NASCAR go next? PS: WINDS OF CHANGE - Is a composite stockcar a realistic proposition? 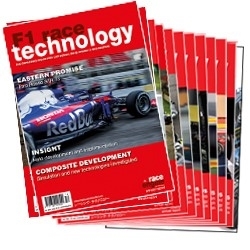 Would you like to automatically receive each future issue of this annual Race Technology Report? 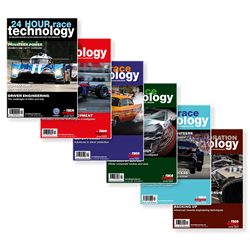 Your card will be charged £20 (plus shipping if outside the UK) at the time each annual issue is published and your copy will be immediately mailed to you in our priority mailing at that time. We will always notify you a week in advance of the renewal and you can cancel this service at any time.